This January’s Sundance Film Festival was my first, and though I came armed with a three-inch binder’s worth of printed out screening schedules, flight itineraries, custom made Google Maps, and much, much more, I quickly learned that it was the kind of thing that you just can’t quite prepare for. As soon as I hit the ground in Park City, many of my plans – films I couldn’t wait to see, parties I just couldn’t miss – were quickly rewritten as I adapted to the unique flow of Park City. At IFP, we support hundreds of work-in-progress films and young filmmakers each year. At Sundance this year, we were lucky enough to have twelve alumni projects premiering. Professionally, it’s always invigorating to see so many works that you’ve supported start their journey on the festival circuit and beyond. And on a personal level, it’s sincerely moving to see filmmakers who I know have been toiling away on projects for years finally introducing them to the world. My first film of the festival was Shaka King’s Newlyweeds, a comedy about an aimless young couple in love with each other and with marijuana, but not necessarily in that order. IFP first supported the project back in 2011 when King attended our annual Independent Film Week as one of our Emerging Narrative screenwriting fellows. Back then, the script was still an early draft, but King’s charming and unique voice was already shining through. During Film Week, IFP put together a reading of a section of the Newlyweeds script in partnership with SAG Indie and casting agent Paul Schnee. I still have a very vivid memory of seeing King’s words come to life in front of an audience for the first time. And now, two years later, it was great to see that happen again on the big screen, with much of the same cast as first appeared in that screenplay reading two years ago. Similarly moving was Ain’t Them Bodies Saints, the sophomore feature from David Lowery, a wonderful young filmmaker who has been a friend of the IFP family for some time now (his micro-budget debut St. Nick came through our Filmmaker Labs all the way back in 2008). 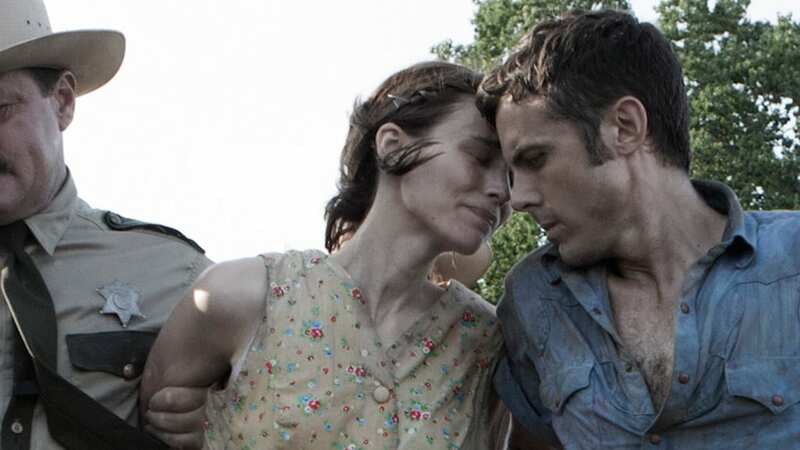 The script for Ain’t Them Bodies Saints was a part of our No Borders International Co-Production Market two years ago, but the screenplay only hinted at the majestic, ambitious, and wonderfully visual work that Lowery has concocted. Working to great effect with established actors such as Casey Affleck, Rooney Mara, and Keith Carradine, Lowery has put together a meditative, haunting, and beautiful ode to the dying myth of the American outlaw. It’s a film that pays off years of hard work on Lowery’s part, one that should skyrocket him towards the top of the list of crucial American auteurs. Beyond these two films, there were so many other projects that IFP has been working with for years that were the talk of the festival: Stacie Passon’s complex character study Concussion (Narrative Labs 2012), which sold to Weinstein’s Radius for seven figures, Alexandre Moors’ Blue Caprice (Narrative Labs 2012), a dark meditation on the DC Sniper attacks, which received nearly unanimous rave reviews, After Tiller (Documentary Labs 2012), a controversial documentary about third-trimester abortion doctors that seemed to be the talk of the festival everywhere I went, and many, many more. Up the hill from the frenzied party hopping of Main Street, Park City’s Treasure Mountain Inn plays host each year to Slamdance. An indisputably smaller operation compared to the festival that most people descend on Park City for, Slamdance is still a vital facet of the independent scene. Showcasing work from emerging filmmakers, the festival has a bootstrappy, DIY feel to it that’s quite charming indeed. This year I served on the Slamdance Documentary Jury, an opportunity that not only helped me to familiarize myself with the workd of many talented emerging storytellers, but also helped me to escape the constant insanity that is the Sundance Film Festival. There’s a sincerity and integrity to Slamdance – whether illustrated by the daring and unorthodox programming choices, the awesome parties (the opening night event featured a pop-up barber shop smack in the middle of the party), or just the fact that everyone at the festival – filmmakers, programmers, press, industry – seemed to be on a first-name basis with one another. As my co-jurors and I deliberated in the Slamdance main office, I couldn’t help but notice a wall of cubbies stuffed with backpacks and coats, as if everyone at the festival was part of one big grade school class. I dare you to find anywhere else in Park City that replicates such a vibe. The programming team at IFP spends much of its time supporting storytellers, but we feel that it’s equally important to help those people who are dedicating themselves to helping storytellers. That’s been the mission of the IFP Festival Forum, an association and alliance of festival professionals that launched three years back at Independent Film Week. Since then, I’ve watched the group grow in scope, membership, and mission, as our very dedicated Executive Committee has put a plan in place to transform the group into an independent 501c3 run by and advocating for festival professionals. It’s a lofty goal, and one that will take a lot of work to put into effect, but at the group’s annual brunch for festival leadership at Sundance, a resounding majority officially ratified a proposed set of bylaws and strategic plan for this evolution. Not only that, but the group also announced a set of exciting new recruits to the Executive Committee – including the San Francisco Film Society’s Ted Hope, the Hampton Film Festival’s Anne Chaisson, and Sundance’s Sarah Pearce. Following the brunch, we all set to work with four hours of subcommittee sessions, where members of the Festival Forum convened to continue brainstorming and implementing next steps for the organization. Over these sessions, I watched representatives from festivals all across the world take time off from their packed Sundance screening schedules to convene and work together on strengthening their industry. Time will tell exactly when the Festival Forum completes its transformation into the organization that the Executive Committee has envisioned it becoming, but it was inspiring to see progress being made.